The military’s fighter pilot shortfall is reaching alarming proportions — and a new report from the Government Accountability Office shows just how bad the problem has become. The problem has grown worse in recent years. And because it takes the Air Force, for example, about five years of training — and costing anywhere from $3 million to $11 million — before a fighter pilot can lead flights, holding on to these pilots is vital to recouping the military’s investments and making sure the services can carry out their required missions. Over the last two years, the Air Force has particularly sounded alarm bells over its pilot shortfalls. The service has stood up a team led by a one-star general to find ways to stem the bleeding of its pilot ranks. 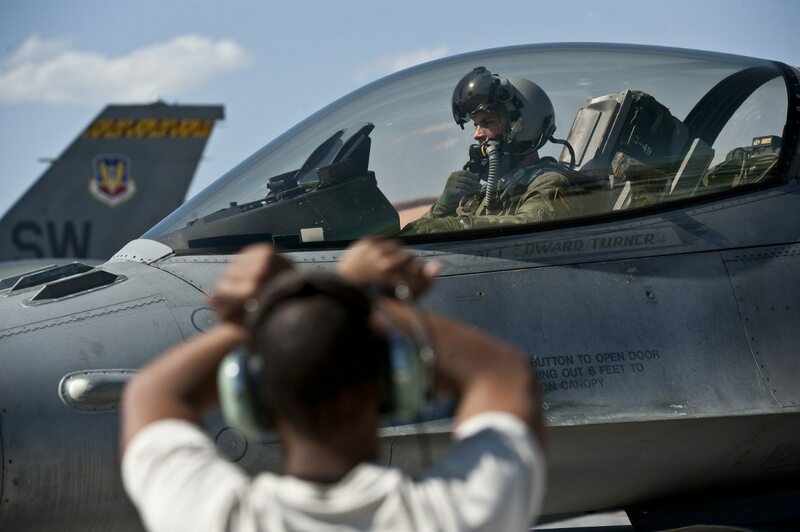 Efforts include dramatically increasing retention bonuses, cutting out paperwork and other non-flying duties that keep pilots out of the cockpit, and taking many other steps intended to keep pilots in the service. Last November, Air Force Secretary Heather Wilson said the service was short 2,000 of all its pilots, or about 10 percent, and sounded a dire prediction of what it would lead to. “With 2,000 pilots short, it’ll break the force,” Wilson said. From fiscal 2006 to fiscal 2013, for example, GAO said the Air Force’s active duty components had fighter pilot manning levels that were at least 92 percent of what they were authorized. In fiscal 2011, the active Air Force was even overmanned, with 104 percent of the fighter pilots it was authorized. But in fiscal 2014, while active duty Air Force fighter pilot authorizations began increasing, the actual staffing levels continued their steady decline. By fiscal 2017, the active duty Air Force was short 1,005 fighter pilots, or 27 percent of the roughly 3,750 fighter pilots it was authorized to have. In 2006, by contrast, the active-duty Air Force was short just 192 fighter pilots, or 5 percent of authorizations that year. * The Navy has similar problems with its fighter pilot manning levels, GAO said. In 2013, the Navy was 57 fighter pilots short, or 12 percent, at the completion of their first operational tour at sea, which is completed between three and six years of service. By 2017, that gap had swelled to 136 fighter pilots, or 26 percent short of what the Navy was authorized, GAO said. * The Marine Corps saw a sharp spike in its authorized fighter pilot positions from 2006 to 2007, when the authorizations grew from roughly 1,050 pilots to about 1,600. But staffing levels only ticked up slightly, which meant the manning levels plunged from 94 percent to 64 percent over that one-year period. The Marine Corps’ fighter pilot authorization levels began declining in 2012, but so did their staffing levels, and the Corps’s fighter pilots were 76 percent manned at the end of 2017. The Marine Corps considers units that are less than 85 percent manned as unhealthy. The Navy told GAO that it has a shortage when it can’t fully staff deploying squadrons. And Air Force officials told GAO that pilot communities with less than 100 percent of authorizations are considered insufficiently staffed. The services told GAO that while they can’t staff all operational fighter pilot positions, they are ensuring that deploying squadrons are fully staffed. To accomplish that, the services are extending pilots’ deployments, deploying them more frequently, and pulling fighter pilots from other squadrons to augment squadrons going overseas. For example, the Navy told GAO that extending fighter pilots’ deployments helped them reduce that 2017 first tour pilot gap from 136 pilots, or 26 percent, to 75 pilots, or 15 percent. But these stop-gap measures come with a cost, GAO said. Squadron leaders and fighter pilots told GAO that the high pace of operations for senior fighter pilots — some have been used to fill vacant junior positions, for example — limits their ability to train junior pilots. And that makes it harder for the military to grow the ranks of pilots with specific qualifications. Deploying fighter pilots more frequently causes family instability and leads to career dissatisfaction, GAO said. And a high operations tempo makes it harder for aviation squadrons to rebuild readiness, GAO said. All this has come at a time when the services shrank their end strengths and squadron numbers, partly due to the sequestration-related budget cuts that began taking effect in 2013. The Air Force offered 54 fighter pilots early retirement incentives in the 2014 and 2015 drawdown that followed the implementation of sequestration, GAO said. The Air Force, for one, used to have 134 fighter squadrons in fiscal 1989. By 2017, that had shrunk to 55 — a 59 percent decrease. This left the service with fewer squadrons where a newly-trained fighter pilot could obtain more experience. And for the Air Force, standing up squadrons of pilots flying remotely-piloted aircraft such as the MQ-1 Predator and MQ-9 Reaper also took a bite out of the fighter pilot community. 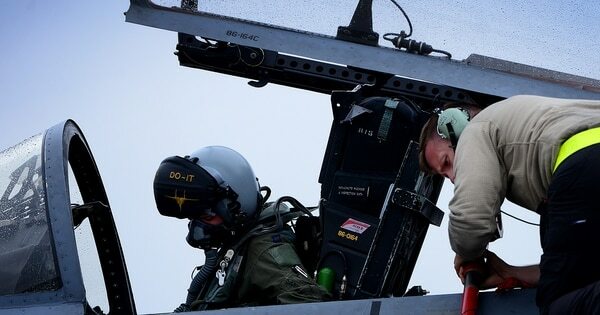 The Air Force took 206 fighter pilots out of their squadrons in 2011 and 2012 to help fill the need for RPA pilots. The reduction of available aircraft also made it harder for fighter pilots to meet their flight hour targets, GAO said. And reduced aircraft readiness — caused in part by the fact that older, legacy aircraft require more maintenance and are out of action for longer periods — further limits pilot training. Between fiscal 2007 and 2016, GAO said the Air Force trained 12 percent fewer new fighter pilots than it had targeted, and the Navy and Marine Corps each were 8 percent under their training goals. Retention of fighter pilots is also declining. Although the Air Force has dramatically increased the maximum retention bonus for pilots — first from $125,000 up to $225,000 in 2013, and finally up to $455,000 last year ― fewer and fewer pilots are taking them. Between 2013 and 2017, the take rates for fighter pilots declined from 63 percent to 35 percent, a 28 percentage-point drop. The Navy’s pool of fighter pilots eligible for the Department Head milestone — a leadership tour for pilots with about 11 to 13 years of service ― also has shrunk over time, GAO said. Fighter pilots and squadron leaders told GAO that while pilots’ jobs have changed considerably in recent years — due to changes in tactics and technology, additional training requirements, and the loss of administrative support positions forcing pilots to do paperwork ― the services have not reconsidered squadrons’ requirements to take those changes into account. “The fighter pilots added that these changes have led to an unsustainable increase in workload,” GAO said. The Air Force is supposed to re-evaluate squadron requirements every two years at most, but the service couldn’t give GAO specifics on what it had done recently, because that data was not aggregated by squadron. Air Force officials also told GAO that metrics informing squadron requirements — such as crew ratios and the targeted ratios of pilots to aircraft ― hadn’t been increased because the service was instead focusing on recapitalizing its fighter fleet. The Air Force pointed to efforts such as adding contractors to do administrative support work as an example of the steps that have been taken to address pilots workload concerns. The services agreed with GAO’s recommendations to re-evaluate its fighter pilot squadron requirements, update assumptions of fighter pilot workloads, and take into account what it will mean to man remotely-piloted aircraft.